For many people, the appearance of their skin is one of their primary concerns. 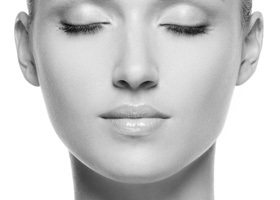 Having smooth and radiant skin is one of the biggest indicators of health and beauty. This is why there are so many moisturizers and anti-aging creams on the market. However, often the best way to combat skin problems is to change your diet. When our general health is poor, this will manifest in the form of unsightly skin conditions like dry lips, baggy eyes, and oily skin. Below are some of the most common skin problems and what you can do to combat them. Oily skin can certainly be worsened by your diet, however, some people are genetically predisposed to it. One of the best ways to combat oily skin is to use a good cleanser and also regularly apply face masks. Decreasing fatty greasy foods will decrease the overall oily appearance of your skin. There are some healthy oils that will improve the appearance of your skin. The best-known essential fatty acids are omega 3 and omega 6. Many people lack Omega 3 in their diet. Fish, walnut, and flax seed oil are among the best sources of Omega 3. Eye bags are usually associated with lack of sleep, and this is certainly a prime culprit. However, it’s not the only reason that eye bags appear. Often it’s a result of poor dietary choices and over consumption of alcohol. Therefore if you find that you’re getting enough sleep but still have eye bags, then cut down on alcohol to see if it improves. If you have sores in the corner of your mouth then this could well be down to a lack of B vitamins. There are plenty of ways you can get more B vitamins in your diet, including eating more whole grains and green vegetables. There are also a range of great vitamin B supplements available on the market. Some have said that selenium plays a vital role in the health of skin cells. There have been reports that show that even skin damaged by the sun may suffer fewer consequences if selenium levels are high. The solution to dry lips is often simply a case of drinking more water. Many people substitute water by drinking soda or other drinks high in sugar but they are clearly not an adequate replacement. Excessive alcohol consumption causes dehydration, which can also result in dry lips. Puffy skin is sometimes caused by the overuse of beauty products such as foundations and powders. You should try to use products that agree with your skin and also ensure that you drink plenty of water. This isn’t a skin condition per se, but it can be worsened by poor diet and lack of water. One of the best ways to prevent the early formation of lines is to drink plenty of water. Warm water mixed with lemon juice is an ideal solution. Smoking can also accelerate the appearance of wrinkles on your face, especially around the mouth. Smoking probably one of the worst habits one can have that affects general well being and leads to countless medical problems. When in doubt, eat plenty of foods that contain lots of anti-oxidants in them such as blueberries, blackberries, strawberries, and plums among many other fruits and vegetables. Green tea is another highly potent anti-oxidant supplier that can greatly enhance the appearance of your skin. Free radicals damage the cell membrane of skin cells, potentially allowing damage to the DNA of that cell. The antioxidants and other phytochemicals in many fruits and vegetables can protect the cell allowing for less cell damage.